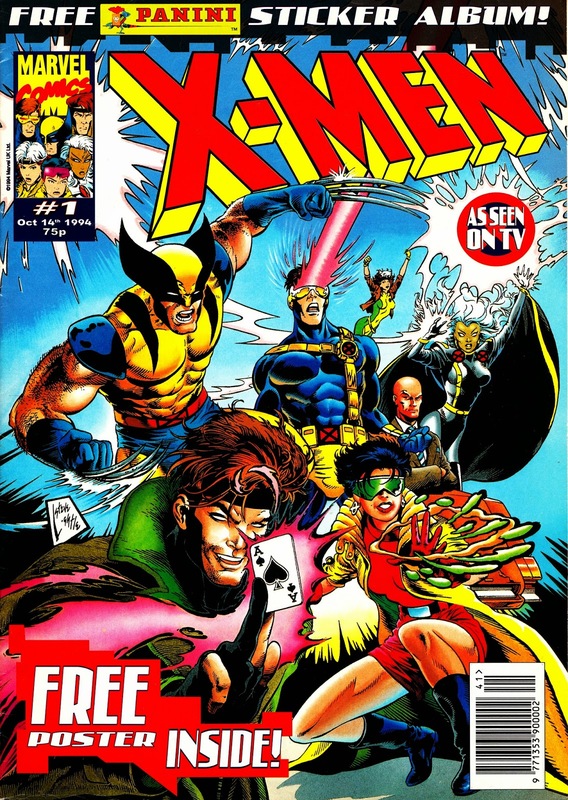 Another nineties MARVEL UK foray into the world of the X-MEN: the first issue of their new weekly, cover-dated 14 October 1994. The hook was, of course, that the BBC had started (or were about to start) running the FOX animated series. The freebie sticker album (which already demonstrates that Panini and Marvel UK were building bridges) was based on the cartoon. Marvel UK had previously dabbled with an X-weekly more than a decade earlier but dated (and oft-repeated) strips, low character recognition (the Amazing Friends TV series hadn't even introduced Ice Man to UK viewers when the comic launched) and ropey new colour all conspired to kill it.